We are having snow in NW Georgia and it is so beautiful! Sub freezing temps may turn this into a snow week! 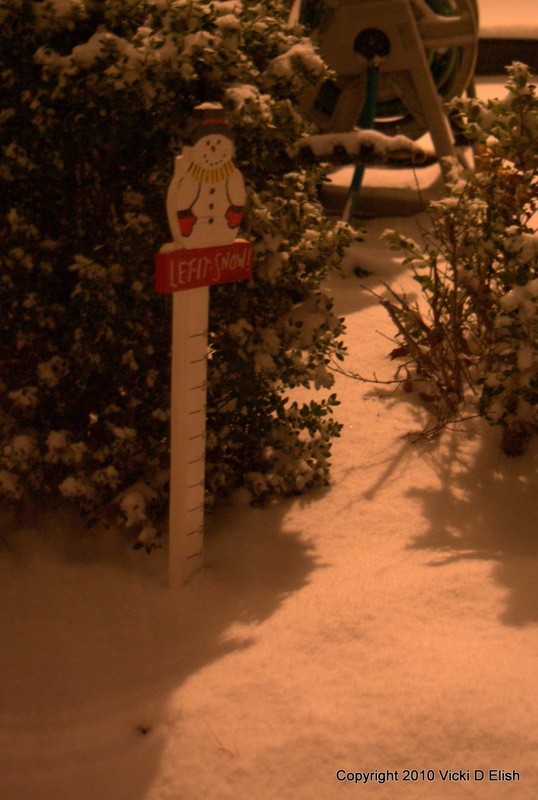 We received about 5 inches of the white stuff! Love, love, love it! Another one taken last night. 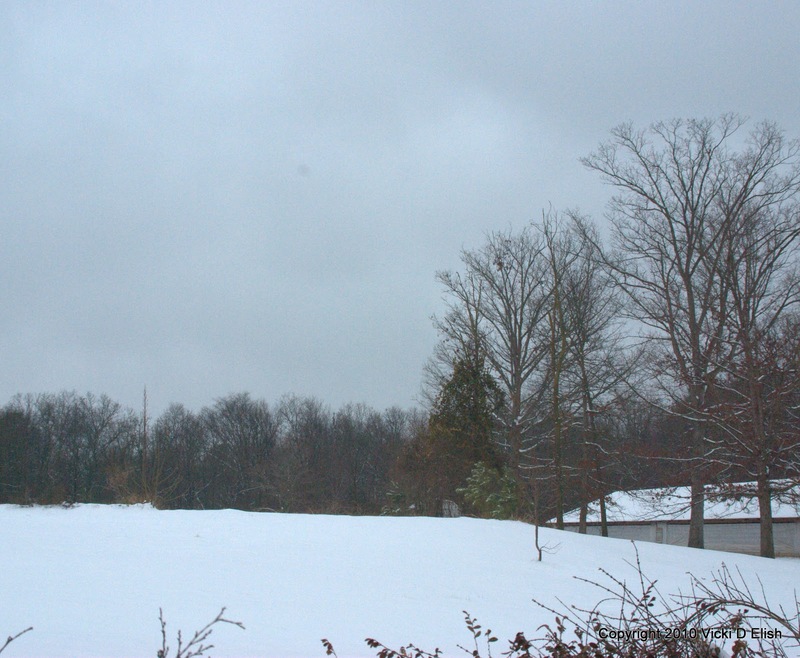 Yes, I did ask for the snow!! 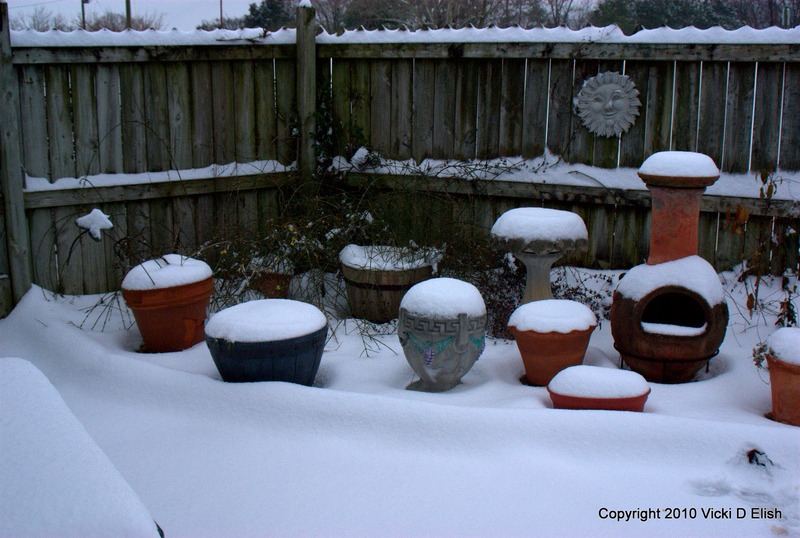 Today…Container Garden, Bird Bath have been turned into cupcakes and mushrooms! 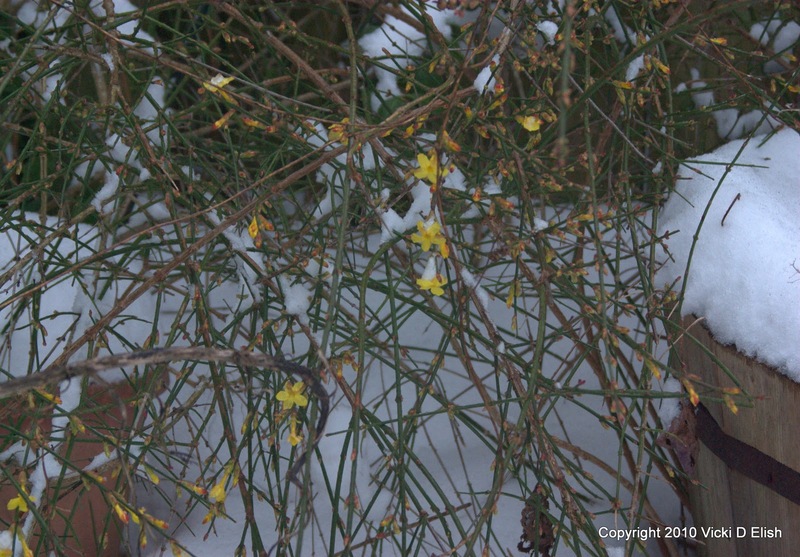 Winter Jasmine my harbinger of spring…blooming in January? 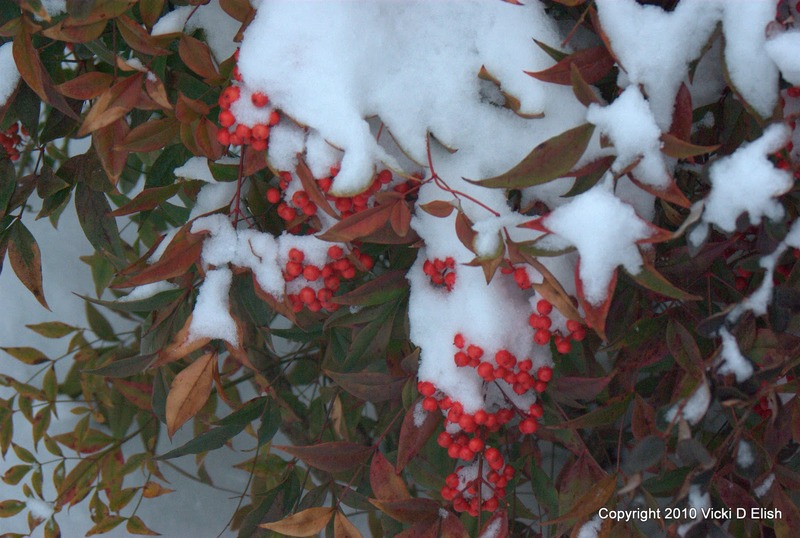 This shrub always blooms the first week in February. Could this mean an early spring? 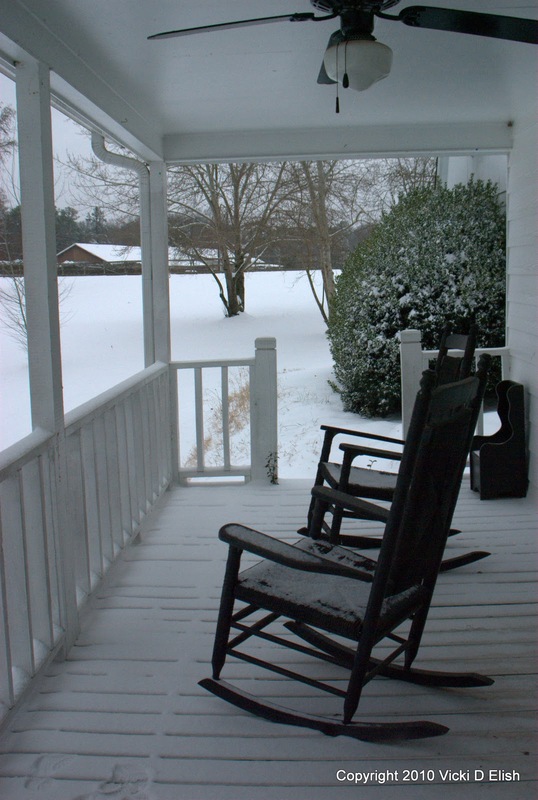 porch was covered with snow. Perhaps I’ll venture out a bit more tomorrow. Where ever you are tonight, hope you are safe and warm! I heard there was snow in Georgia! It is all so pretty Vicki. We are supposed to get a few inches tonight and tomorrow. I am looking forward to it. Unlike the pretty greens that you have there, everything here, except for the pines, is brown. Ugly brown! Enjoy your snow, where's your snowman? Love the pics! 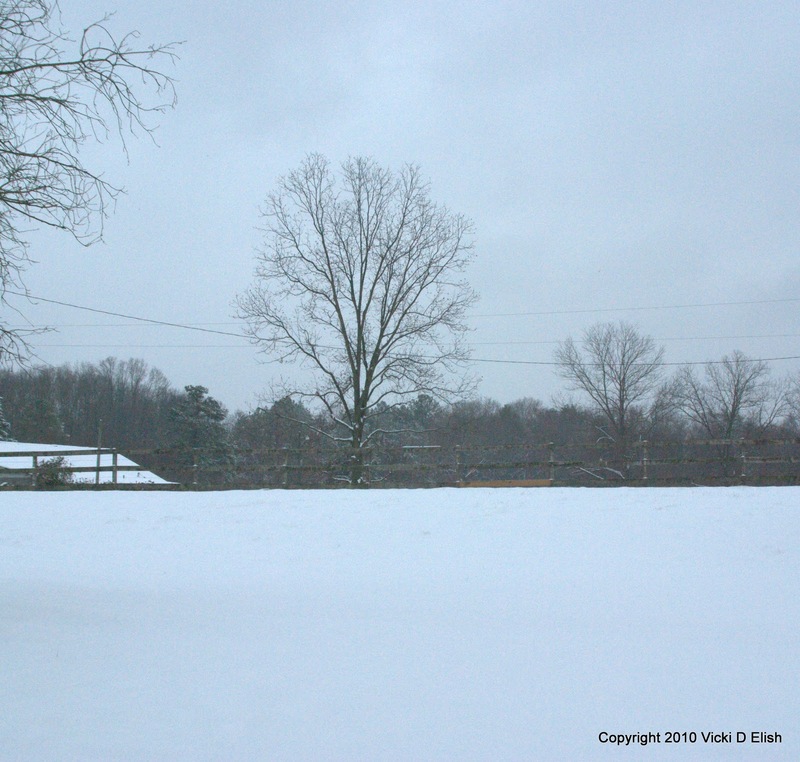 We received snow here in N Central Alabama too! Been out in it all day! 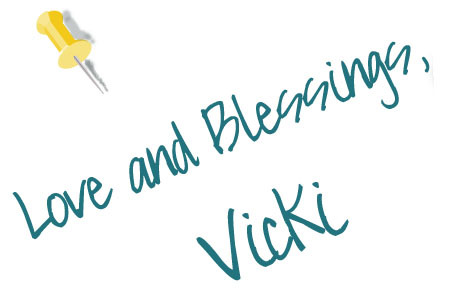 Love your photos, Vicki. It is beautiful. 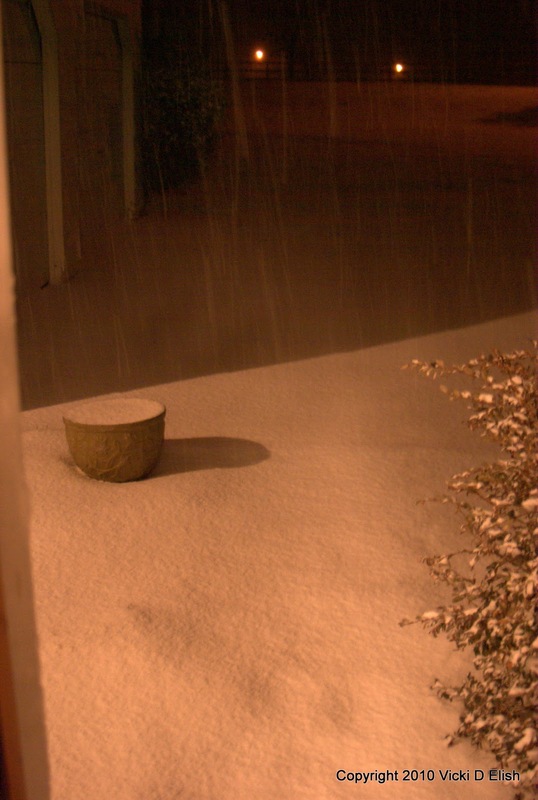 It has been snowing all day here in Iowa, too. We should be used to it by now but it still can slow things down a bit. Hey-that's great! I think I'd like to be a tad warmer now though, but I do like the snow! Those shots really make snow look beautiful. Lovely!